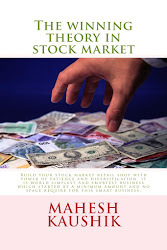 Recently i restructured my website www.maheshkaushik.com and start giving a new stock every week which is fulfill all of my stock choosing criteria which i describe my book the winning theory in stock market. Both stocks are traded @9 and i think both are good long term holdings for more than one year. Manali petro and national plastics have good net revenue per share and all other fundamentals are also good. I'm hold 350 shars of Manali petro so this is my discloser.